Bloomsbury USA Childrens, 9781681195193, 192pp. Ellie is an engineer. With a tool belt strapped over her favorite skirt (who says you can't wear a dress and have two kinds of screwdrivers handy, just in case? ), she invents and builds amazing creations in her backyard workshop. Together with her best friend Kit, Ellie can make anything. As Kit's birthday nears, Ellie doesn't know what gift to make until the girls overhear Kit's mom talking about her present--the dog Kit always wanted! Ellie plans to make an amazing doghouse, but her plans grow so elaborate that she has to enlist help from the neighbor boys and crafty girls, even though the two groups don't get along. Will Ellie be able to pull off her biggest project yet, all while keeping a secret from Kit? 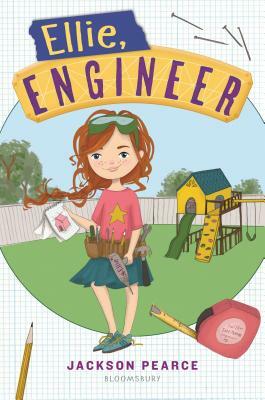 Illustrated with Ellie's sketches and plans, and including backmatter with a fun how-to guide to tools, this is a STEM- and friendship-powered story full of fun!